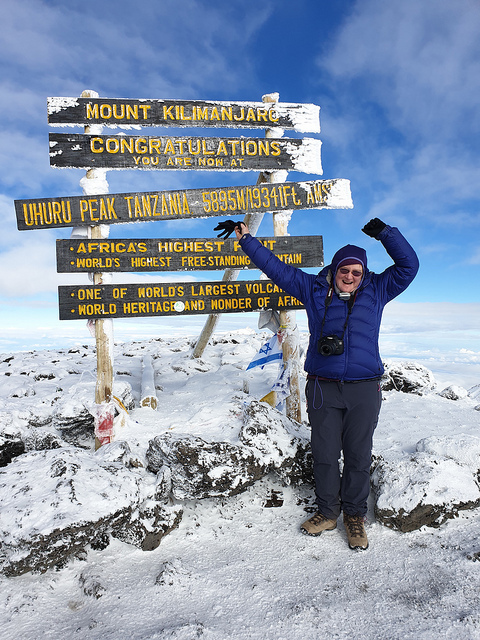 In February 2019, I took the trip to Tanzania to attempt to trek up Kilimanjaro. One of the largest freestanding volcanoes in the world (as it says on the sign) and definitely the highest mountain in the continent of Africa, at 5895m, the trip would take me higher than my Everest Base Camp trek. Choose the longest route you can afford/find. 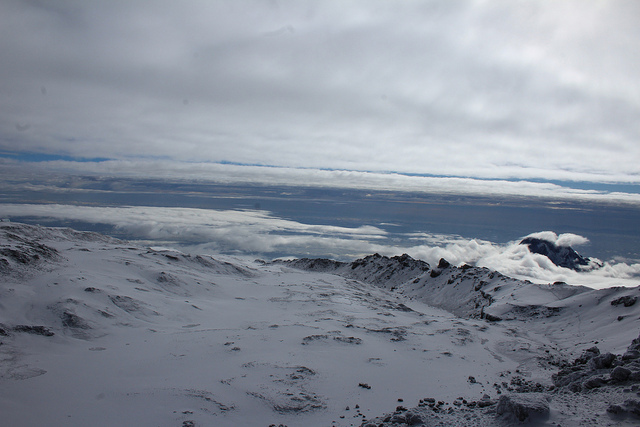 None of the routes are great for acclimatisation options, as not that many opportunities to climb high, sleep low. 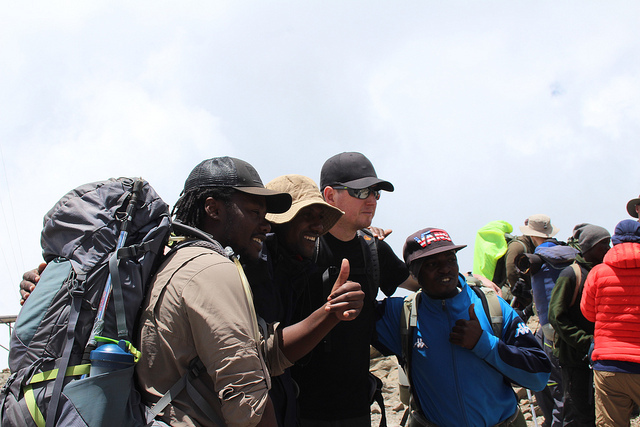 The routes all seem to have a very large final day climb, with the most popular route from Barafu climbing 1200m for the last climb. That’s a lot and a reason why so many turn back. So look for opportunities to spend time as high as possible. Check the reputation of the local company. Kilmanjaro trips are big business and not every local company spends the money needed to kit out and pay the local team enough. Down jacket. You spend a lot of time not walking, hanging around camp. The jacket keeps you warm. You could always add extra layers but that is also extra weight. Gloves – mittens are definitely best for the summit night. I had 2 pairs of gloves but it was not enough, I borrowed mittens and put them over my base gloves and I was fine. Waterproofs. It rains and they will stop the wind too. Essential. Painkillers and general travel medicine. I was surprised that some had not brought these (or had not brought enough) and they had to ask others. Take headache tablets! Slowly slowly. Your guides should be making sure you are doing this. If they’re too fast for you, then raise your voice and ask. There’s always going to be someone faster than you, but that does not mean you need to keep up with them. Another reason to pick a longer schedule, it gives more time and hopefully you’ll never need to rush too much. There’s nothing wrong with splitting up groups if needed to allow pace to suit all the team. Take your preferred snacks for summit night. Your appetite will be low (it’s high, it’s dark, your body clock is all over the place) and you’ll find it difficult to eat, so have something with you that you know you like – both sweet and savoury. TRAIN! Train uphill, lots of uphill. If you have no uphills near you, then find stairs. Go for long walks, to build up your stamina. This is about having legs to go for long periods of times and legs than can go uphill for ever. So think about body strength as well. Lunges and squats are your friend. Practice with walking poles; don’t turn up having never used them. There’s videos around, but just getting our there with them, trying them on flat and up and down hills will give you a confidence with using them. They do help with saving energy when used correctly and with maintaining stability on the up and down hills. Most of all enjoy yourself. I can guarantee that at some point you’ll wander why you did this. You’ll be tired and hungry and grumpy. You may be hurting and miserable. You may be cold and feeling terrible. But think about what you are doing and what you have done to get there – it’s an achievement and you should be proud. Even if you don’t make the summit on the last push, you’ve still got our there and tried. This entry was posted in adventure, travel by Rachel. Bookmark the permalink.